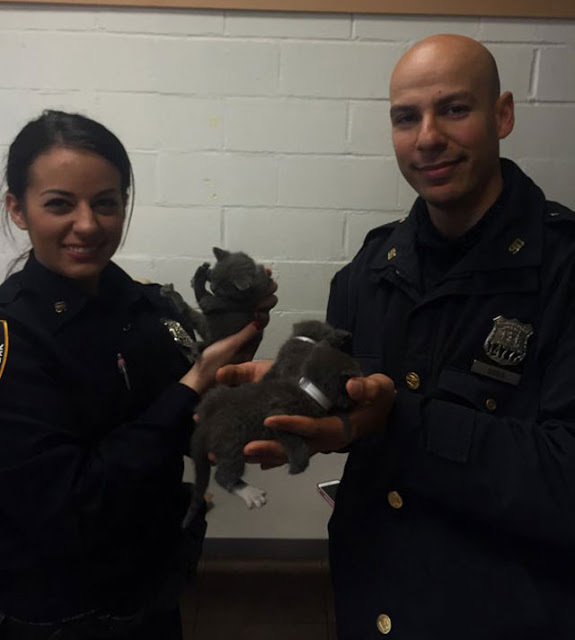 A Good Samaritan and New York’s Finest just saved New York’s fluffiest. 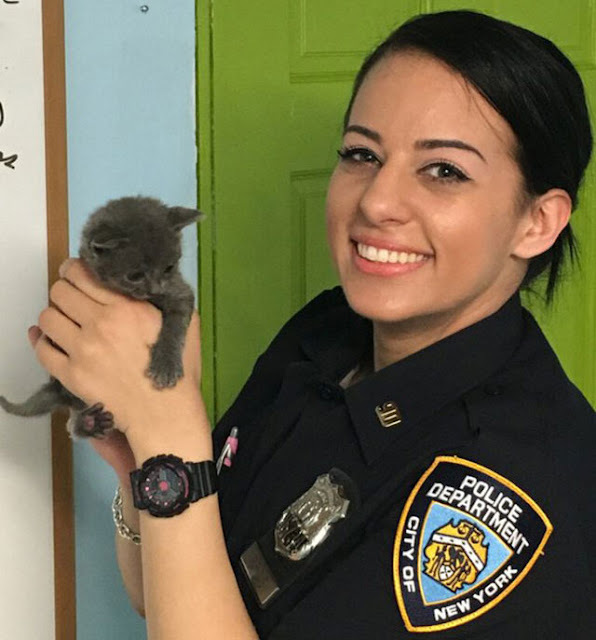 The NYPD reported that officers Nicole Piridis and Roman Goris on Tuesday rescued six gray kittens stashed in a suitcase that was tossed over a fence into a Brooklyn parking lot. The cats were very young and starving, KPIX noted. 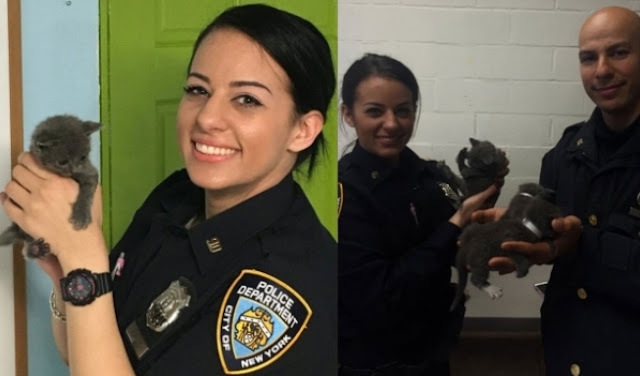 But without the help of Olivia Hustler, these kitties might not have been saved at all. 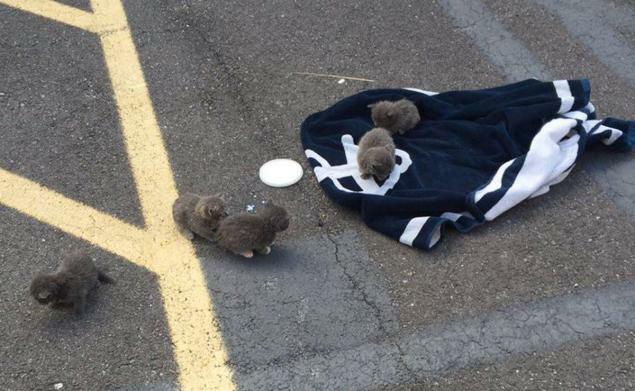 Hustler, the woman who said she alerted police to the animal cruelty, told The Huffington Post that she spotted the kittens in the parking lot earlier. She scooped them up with the help of her husband and neighbors to bring them into her apartment for warmth while awaiting the cops’ arrival. 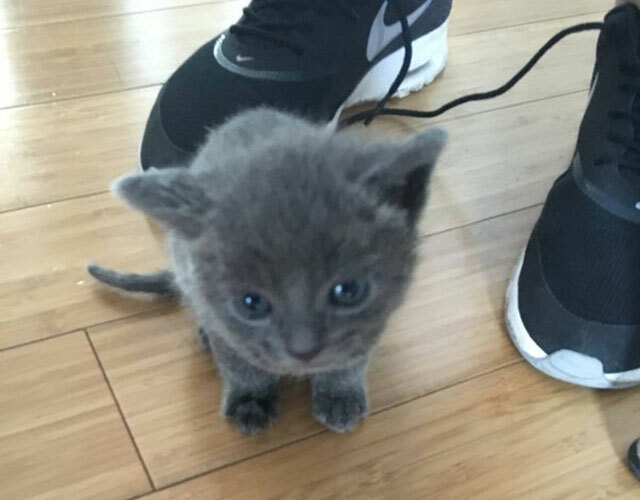 One of the kittens had an ear injury and a seventh kitten in the suitcase didn’t make it, Gothamist noted. The six kittens are now in the ASPCA’s care and their future looks brighter. “There were people lined up to take them. 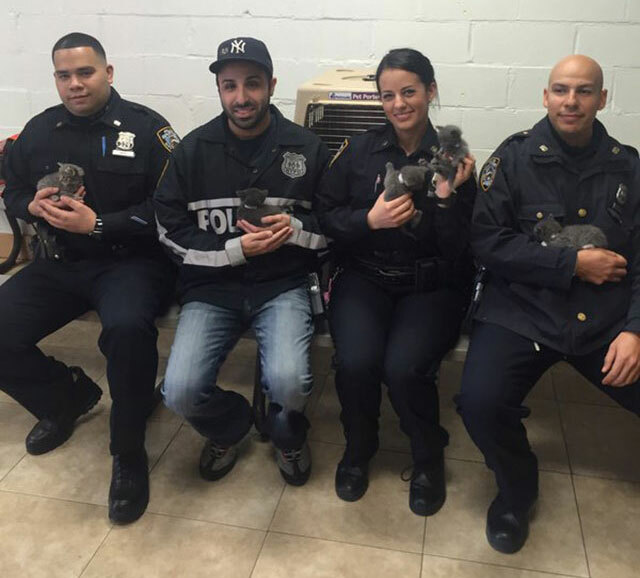 Cops were looking to take them home,” 90th Precinct Commanding Officer William Gardner told the New York Daily News. Surveillance video captured the creep throwing the suitcase over the fence, but police are asking for the public’s help to find out who it is. 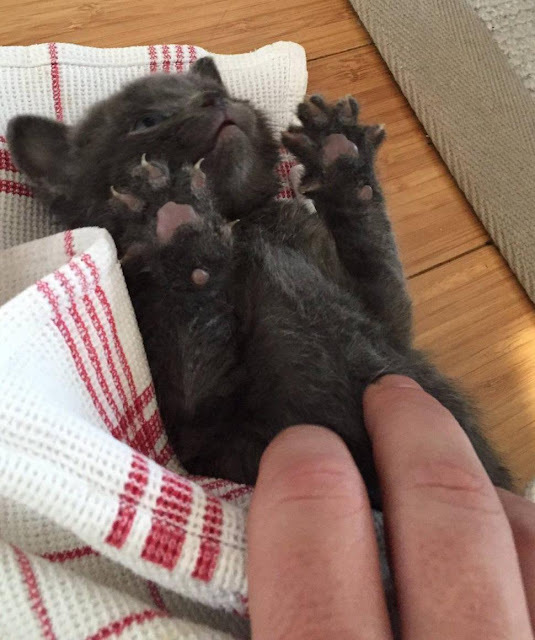 Responses to "Police Officers Rescue Six Kittens Thrown In A Suitcase"